There have been three SNJ posts this week, including Son2 in his fetching lycra Body Sox (see link below), as well as lots of interesting special needs news stories. Check them out below. 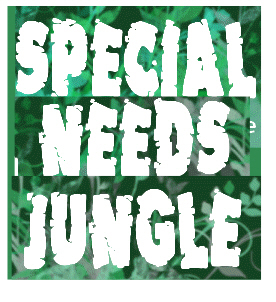 And, if you haven't voted for Special Needs Jungle in the BritMums awards yet (see link badge upper left), there's still time. You know it makes sense. Sky Badger: Surf therapy free for kids with mental health, emotional problems or learning disabilities.